Increasing your online marketing is important for your company visibility. Through online marketing, you are in a better position to increase your customer base. Therefore, it is necessary that you come up with a strong marketing plan. You have to put focus on building a customer base who will become your brand ambassadors. If you are looking for ways to improve your online visibility, then you have come to the right place. Here are five useful tips to improve online visibility. Setting up a blog is an online marketing tool that can increase your presence online. You can set up the blog on your website. Make sure that you only post relevant topics to your blog. Additionally, you have to post quality content on a regular basis. Adding the blog to your site ensures that you always have new content for your audience. Through blogging, you can explain to your audience about your products or services. As long as you have quality and new content, your visitors will keep coming back. In case you have not updated the content on your site, it is high time you do so. You can also make use of videos and pictures to make your site appealing to your audience. The other thing you have to do is ensure that your audience can read your content on their laptops and mobile devices. It is necessary that you can be seen on social media. 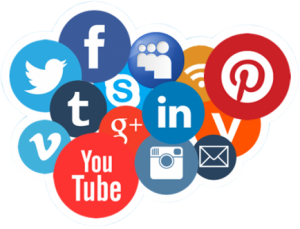 You can use the social media channel to post relevant and interesting content. You have to put content that the audience can share with their friends. Make sure to include images. When using social media to become visible online, you have to ensure that you engage your audience. In doing so, you will increase your online presence faster. Search engine optimization is an important part for any business that wants to increase its online presence. Using search engines ensures that your site is visible on search engines. You can hire a search engine expert to help you out with SEO. You have to conduct research and find the keywords related to your business. There are keywords that frequently searched online and those are the ones you should use. You need to make it easier for your potential clients to find you. You can get Google authorship for free. Therefore, you do not have any excuse not to have your site authorized. You can get authorized by signing up to Google+ profile. People will take you seriously once you become as verified author on Google +. As such, the number of visitors to your site will increase. It does not take a long time to increase your presence online. By following the above steps, you will be on your ay there. You can also choose to hire a Sydney agency to help you with online visibility. Go ahead and increase your online visibility and see the sales also shoot up the roof.